Welcome to The Glass Studio. This is a place where you can learn about glass. You can take a class or two...or a series. What do you want to learn? We offer many different types of glass making techniques and a fine variety of jewelry making too. There's kiln forming, which includes, fusing, slumping, and casting glass. You can learn torch work, either soft glass or boro, making beads or sculptural work or tube work. Traditional glass blowing is available too. 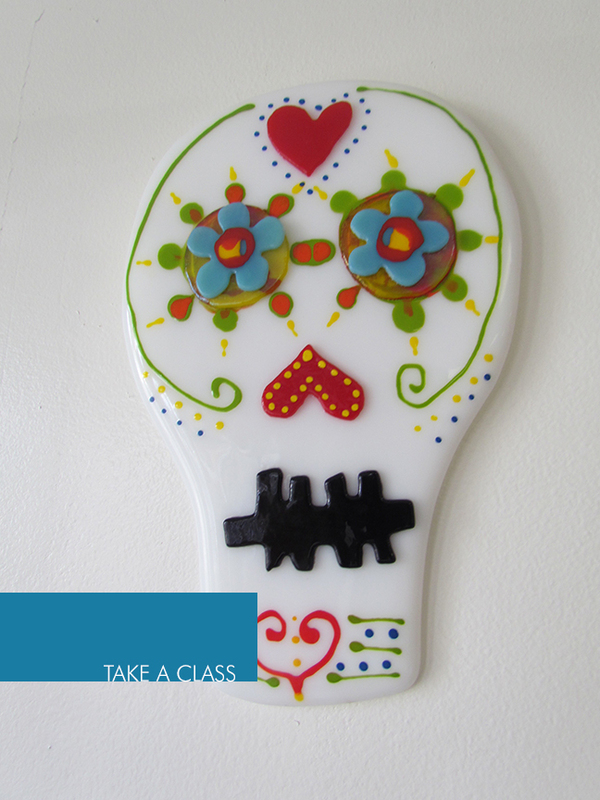 Gather glass from a crucible kiln to make paperweights in the beginner's class or glasses in the next level. The jewelry making classes include wire wrapping, soldering, metal clay, macrame, and just added enamels...some classes are scheduled private sessions, and there are some listed to sign up for. Group sessions can be booked as well as corporate team building classes. Call or email for more information. Check the class page for descriptions of what's currently available. If you don't see what you like check in and let's see if we can get you where you want to go with your glass adventure. You can purchase supplies for glass bead making, kiln forming, jewelry making, mosaic art, as well as buy beautiful finished art and fine crafts. There are beads and jewelry, plates and bowls, tiles and wall art. Come by for a visit to learn more. Or give a call...and I've just added gift certificates to the classes page.